In the classic adventure movie “The Towering Inferno” from 1974, there is a telling exchange between two characters that helps to explain how a 138-story building could so easily go up in flames. The skyscraper’s electrical engineer, played by Richard Chamberlain says, “Every piece of wire I put in that building is strictly up to code, inspected, and approved.” To which, the building’s architect, played by Paul Newman, responds, “The code’s not enough for that building; and you know it.” The movie had a big impact at the box office and even affected building planners and fire safety experts in its aftermath, according to some accounts. There was a catch, though, as you can see in Wachtler’s use of the word “new” in that last sentence. 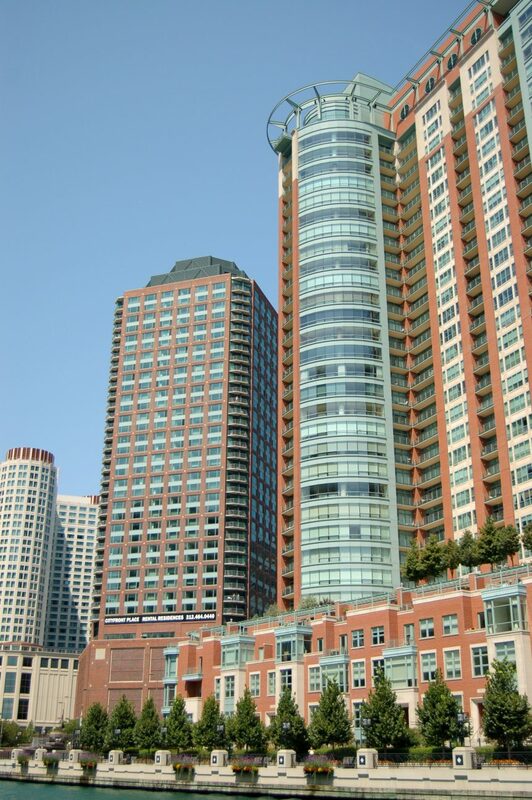 Due to the high-cost of retrofitting older buildings with sprinklers and fire alarms, most residential and commercial high-rises in Chicago were given a Grandfather Clause. Still, the situation would change again in 2003, when six government employees were killed in a fire inside a Cook County Administration building. This forced the City Council to again re-think their guidelines for high-rise fire safety, which resulted in an ongoing debate among Chicago’s political leadership that has lasted for the better part of a decade. In 2009, the City Council granted further extensions to the owners of the grandfathered buildings by creating a “vague compliance mandate” that suggested two-thirds of the pre-1975 high-rises be equipped with sprinklers, smoke alarms, and other safety measures by 2012 (which was later pushed back to 2015) and the balance by 2017. Then the plot twisted again: in January 2012 one person was killed in a high-rise fire on Lake Shore Drive; and two were killed in similar circumstances in January 2013 on South Shore Drive. With so much at stake and with ever-changing regulations in such a state of flux in Chicago, we believe that you should consult a proven fire safety expert to help you in undertaking any new improvements to your high-rise structure. At Fox Valley Fire & Safety, we have the experience and expertise to handle any emergency-response planning needs that you may have. Please call us today.